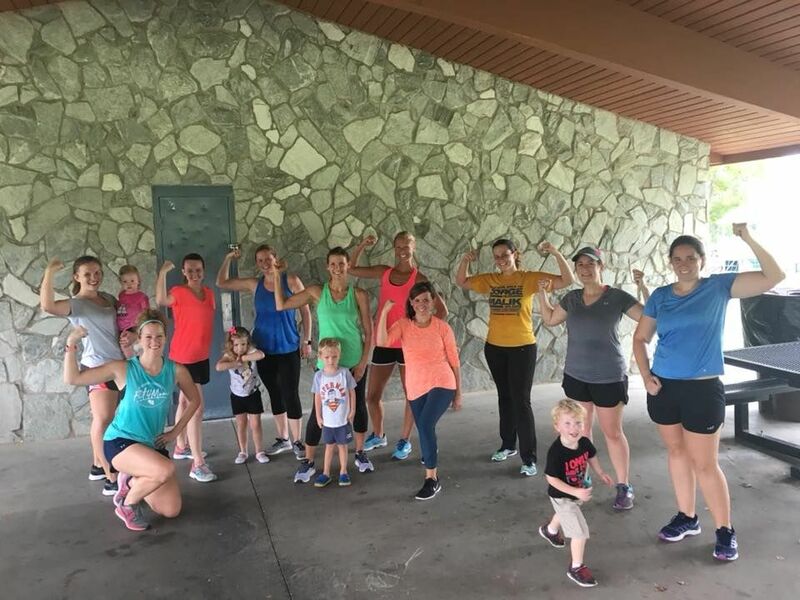 Join Our Village Moms Club (powered by FIT4MOM Western Wake County!) and get to know other new moms and kiddos! This is free for all local moms (Fit4Mom membership is not required to participate). Along with enjoying fun and playful activities with your child, you will build a tight community of like-minded moms to share mothering advice, tips and most importantly, laughter. 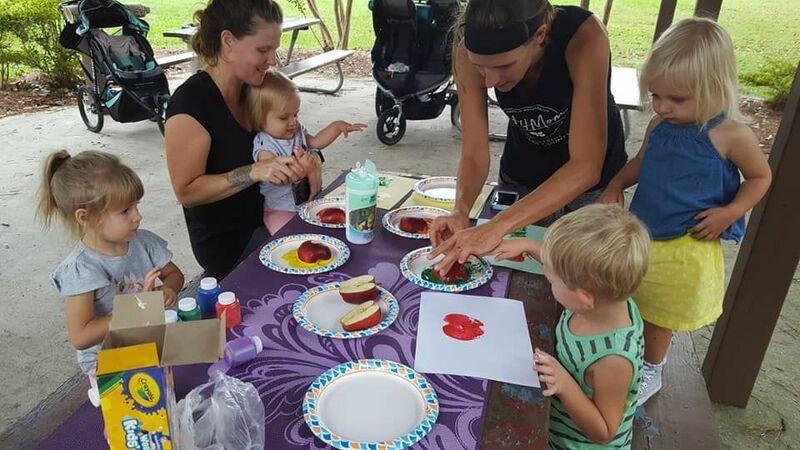 Our Village Moms Club includes weekly playgroup activities, monthly moms night out activities, and community service projects. I wanted to share with you a wonderful blog post from our FIT4MOM Corporate page. We usually get so overwhelmed with our new little that our own needs are put to the side. 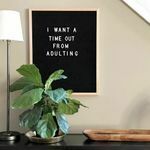 This blog is a great reminder that we need to take care of ourselves too. I think the most surprising thing to me was how childbirth and early postpartum weeks are truly seen as sacred in other parts of the world. Mom is praised, cherished, given rest, support, TLC, and nourished spiritually, physically, and emotionally. Mom is taken care of and truly pampered, honored, and celebrated in other cultures and countries - where is that in the U.S.? Sure, we celebrate motherhood, but focus is really only on baby, and mom is an afterthought. Her well-being is not monitored well, and we have a superwoman mentality that we can do it all. While mothers can, they should not. They need help after childbirth. They need support. They need rest. And they need nourishment. "Around the world, new mothers are expected to rest for the first 20 to 60 days after giving birth...a new mother is supported in resting so as to give her body, mind and spirit time to harmonize and process everything she has just experienced ... (this) is critical in ensuring a woman's long-term health" (Johnson, 2017). Kimberly shows us what other cultures "order" for mamas after childbirth; for example, in India, they call post-delivery the "sacred window"; new mothers move out of their marital homes and back into their mothers' houses so they are relieved of household duties like laundry, making meals, cleaning, and other chores (Johnson, 2017). Here in the U.S., we acknowledge six weeks is a significant turning point after birth, since it's when we see our OBGYN for our final send-off, but "it is not accompanied by the intensive nurturing between the birth and the visit itself," says Johnson (2017). We have year-round food available to us more than ever before; we are able to eat papayas in the middle of winter and squashes in the middle of summer due to international shipping. We know that food is medicine and has healing properties. When new moms are postpartum, food is as important as ever. "A new mother should consume certain herbs and foods, so she can complete the cleaning of the uterus, eliminate any old blood still remaining, and rebuild her strength," says Johnson (2017). Johnson emphasizes that postpartum foods of importance are those that are warming, are easy to digest, and are mineral-rich and collagen-dense. Did you know in Korea, a new mother gets a massage every day for 40 days to help restore organ position and circulation? (Johnson, 2017). Should we say that again? In Korea, a new mother gets a massage every day for FORTY days...Johnson looks into other cultures and how they truly pamper and nourish a new mama postpartum, and I couldn't help but get emotional and angry, feeling like we lack this aspect of compassion and care for new moms here in the states. We are all so busy, so pressed for time, so anxious, and moving from one thing to the next, we feel we don't have any time to stop, pause, breathe, and take care of others - or ourselves. "It's important to have caring touch during this (postpartum) time period, whichever tradition you decide to incorporate into your healing," says Johnson on page 30 of The Fourth Trimester. This is where our American society needs to step up and put more love and care into motherhood and new moms' well-being, through touch, comfort, and support. "In many cultures, this post-birth time is respected as a delicate one, physically and spiritually, for mothers and babies...women need to know they are not alone, that they can relax because there are other women around who can care for the home, care for the baby, and care for the mother in this new, vulnerable state" (Johnson, 2017). We all know that getting some sunshine is good for the soul; this is especially true postpartum. It's important to feel grounded, literally, with the earth. Johnson points out this doesn't have to be some extravagant adventure either. She suggests simple things such as setting up a nursing area near a window where you can gaze outside or feel a fresh breeze, taking a bath with herbal infusions, sipping on herbal teas, adding herbs to sit baths and steams, going for a walk, looking up at the trees, leaves, and feeling the elements among you (Johnson, 2017). Within motherhood and the chaos and overwhelm of those early postpartum weeks, it's important to "reconnect with the elements of nature (which is) the life force around you" (Johnson, 2017). We know it may not be our cultural norm to give massages to new moms for 40 days, or move out of our marital homes and back in with our mothers to be nurtured. We know our families and friends most likely work full-time in or out of the house and cannot take care of us in the capacity that other countries may care for new moms. But we do know this - moms need support, love, compassion, nurturing, and time to heal. When you stop by a new mom's house to visit, bring a sandwich or a real meal that's ready-to-eat/heat, do some laundry, wash dishes in the sink, take the dog on a walk, or help vacuum and wash the floor. Are chores not your thing? Surprise her with a gift card to a trusted housekeeper. Mama needs help around her home with household chores! Ask mama how she's really doing - make her feel loved on and fully supported (plus, she'll appreciate adult conversation). Be someone she can truly confide in. Listen. Be truly present, get off your phone, and listen to her needs and ask her what you can do to help. Don't let her say "nothing" or "I'm fine". Offer to run errands - grab household essentials items from Target like toilet paper, paper towels, pads, snacks, etc...run to the grocery store and stock her fridge, grab her prescriptions, etc. Bring her some frozen meals or show up to cook dinner. If she needs peace and quiet, send her Door Dash or Uber Eats without asking; just do it! Remember actions speak louder than words right now...step up to help where needed. She most likely will never tell you what she actually needs, so think about what you would want/need and do that. Don't overstay your welcome - know she is exhausted, can't wait to take her bra off, and probably wants some privacy breastfeeding without having to use a cover in her own home. Your company is SO appreciated, but new moms need space to rest, too. You can learn more wisdom from the book, The Fourth Trimester, by signing up for MamaWell by FIT4MOM, a complete prenatal and postpartum program offering modern wisdom and whole body guidance for your journey into motherhood. 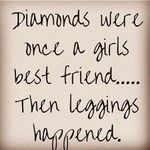 Ok, so I am sure many of you have had this conversation with some, the classic debate on leggings.... Are they pants? Well I say, HELL YEAH they are pants! I wear them for every occasion, especially now that they make work appropriate and dressy leggings! So today I decided to write about of some of the best and worst legging experiences I have had. Let's start with some leggings FAILS, like serious fails. I bought a pair of leggings from FiveBelow and they are not meant to stretch, They do stretch very well and they are super comfortable but every time they stretch they turn white. EEEK ... not a good look. Walmart, ok so I bought a cheap cloth not workout fabric leggings and they were so comfortable and i thought they looked good. Until, one day my husband told me, a year later, that when I bend over you can see everything...EVERYTHING! So yeah, to say the least these are no go. Now for some major WINS, Target you will always have my heart, even without incredible leggings. So, Target sells these amazing C9 Champion leggings. They are high waisted and hold you in so well, like they eliminate all cellulite and dimples and make your not so smooth hips look smooth. Oh, and the best part you look more fit, so give me the extra scoop of ice cream!!! Fabletics, I could not believe the quality, the fit and the options. I LOVE my new leggings, and they were 2 pairs for $25, how can you beat that deal?! They are comfortable, cute and really hold everything into place, which is much appreciated when you are only fit(ish). So yes, leggings ARE pants!!! AND... sorry not sorry about all the leggings memes!!! I was watching a movie recently and the main character had a flashback of her childhood and remembered her mother singing and dancing in the kitchen. In this moment things became so clear to me. We over schedule ourselves and our children, not want to miss an opportunity. This is great, out children will experience more than we ever had a chance to. However, they might not remember the crazy elaborate things we plan, they may just remember how we sang while washing dishes or danced with them in the kitchen. Let remember to enjoy the little moments, cleaning and housework can wait, take time to make those memories! What are some thing you remember from your childhood, things that maybe weren't significant moment but mean the most to you? You feel crushed beneath its weight. You are carrying the weight of it on your shoulders. 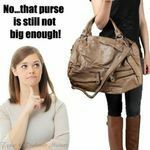 You and only you must carry it and no one ever ever helps… I am talking about your “mom-bag”! First of all why do we carry all these things? We think we need to buy a bag to accommodate all of our “stuff”, but we are just buying a larger vessel for more “stuff”. What is in there? I have included a list of it's contents, no mom shaming, remember we are in this together. Ten pounds of needless receipts, for things like gas and Chick-fil-A and groceries. I can't return these things so why do I keep these?! Change, 12 lbs of change. I don't know how this happens because I never have cash, so where does it come from?! Lipstick, which I put on before I leave the house and never re apply, so carrying it is pointless. A planner, yes a full size 8.5x11 planner. One napkin, yeah I am sure one will be enough, yeah right. For real though, I thought there was like 47 in here, where did they go? A Chick-fil-A mailer for chicken minis! My point is… why?! Why do we carry all of this? Because we are the ones thinking about every situation and the outcomes of every situation. I am looking forward to the day when all I need is a credit card and lipstick, keys and my phone. But for now I am enjoying being Mary Poppins, well a worst dressed, not put together, can't carry a tune in a bucket, way less perky Mary Poppins. Now it's your turn, let me see you mom bag! Tag us on Facebook and Instagram and use #mombag!!! Some days I don’t want to. Yes, that was the end of that sentence. I don’t want to. I don’t want to clean, wash, pickup, cook, listen to whining, break up fights, listen to their problems, I don’t want to mom. Let me explain, I love my littles, I love being a mom but somedays I don’t want to mom. Of course, if I don’t know one else will so I do it, slower and a little less cheery than normal, but I manage. This is a real thing for me, and when I have talked to other moms, it is real for them too. So, let's allow our selves to feel overwhelmed, tired, stressed, confused, conflicted, mad, scared, jealous (I am jealous he can have adult conversations all day, I know petty but true). We should allow ourselves to feel these emotions without feeling guilty because we are human. Humans have emotions and just because our job is keeping smaller crazier crankier humans alive does not make it less of a job and does not make those emotions less valid. We cover up our feeling, in my opinion, because of mom guilt (which is worse than Catholic guilt, or at least in my experience it is). Let’s feel these emotions, embrace these emotions and let’s learn from them. Let’s learn how to find a little joy in what is normally a hair pulling our experience. Let’s learn to use it as a teaching moment and teach our tiny humans that they are also allowed to have emotions, but they may not dwell in them. Let’s learn how to find a way not to dwell on our emotions. Acknowledge the emotion, embrace it but not dwell on it. There will be hard days, probably way harder than this, but there will be so many more wonderful, easy, sunny, laughter-filled days that this one day of not doing it will not even matter! Stay strong mama, and you are not alone! Hey mama, let's chat for a minute. We love our bodies, or that’s what we say. But do we really? We are constantly looking at changing it, whether we chose to exercise or a little medical help, maybe Botox or a mystery potion, we slather everywhere. We are constantly judging that little roll, or stretch mark or hair where it wasn’t previously (by the way, how long was that long black hair there?!). We should stop looking in the mirror at the “imperfections” and look at the BEAUTY you are. That body has been through a lot, years of fun, laughter, and adventures. Maybe many personal abuses, drinks, sports, partying (parties that feel like they happened decades ago, but I woke up with the hangover just this morning). Your body grew a human or maybe two or more, A HUMAN, let that sink in. Maybe that little fart in a whirl wind, as my grandpa so lovely described, will be the next Plato, Einstein, Picasso, or Mother Teressa. Maybe not, but either way you single-handedly grew a human. It is time for you to look in that mirror and find true, unwavering, undeniable love for your old bag of bones. Our bodies will never be the “perfect” body, because when are things ever perfect?! 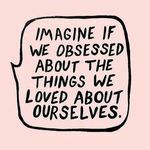 I think self love goes hand in hand with self-improvement, we are always searching and trying to better ourselves, but I think we need to love the “journey” and LOVE THAT BODY!